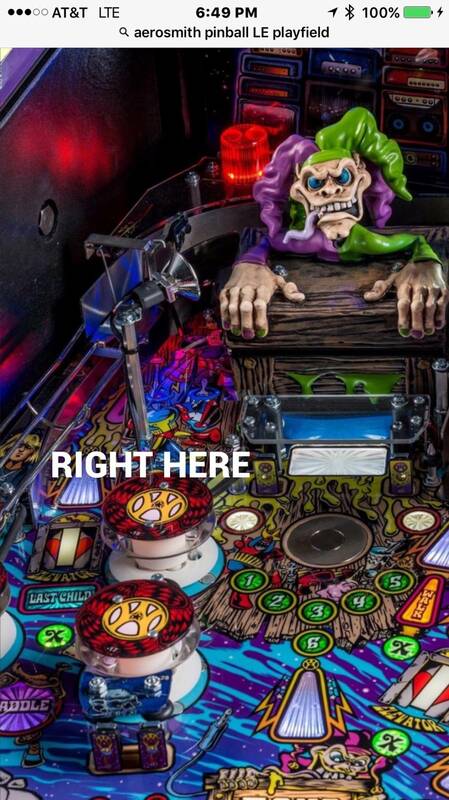 » Forum » Game manufacturers » Stern Pinball » Air balls and Aerosmith. » Air balls and Aerosmith. I have an Aerosmith LE and let's just say the game to a keeper for me! I love it but it had a flaw that I must fix. Sorry if this has been posted but I couldn't find it. Anyway, the tall light post by the toy box. Ball launches and gets stuck between the lite post and ramp. Anyone else experiencing this? If so have you addressed it and how? I have an LE also, can you post a pic of what area you are talking about? I can take a look at mine for you. Right by the post and ramp. Where you see the text above it in front of the light post. I've got well over 100 plays on my LE and this has never happened to me. Have you managed to lock a ball yet ? I havent had this issue on mine. The ball does go in this area often but never stuck. I wasn't being serious mate. I think I got it fixed. After looking at it the rail it was not installed correctly. So we will see how it goes. I'm thinking of getting one but are there fixes in place or worked on? 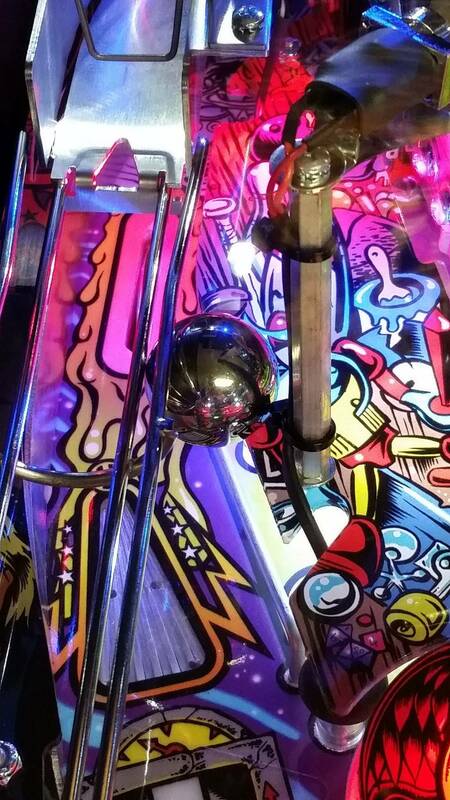 On a pro during a launch party we had the ball getting stuck there on one machine but not the other. On closer inspection we found the issue. All we had to do to fix it was rotate the cable tie that holds the lamp wiring to the post. You want the cable tie head facing towards Jacky and not towards the wireform. Hope that helps. That appears to be sitting against the zip tie protruded part. Would it help to rotate the protruded part away from the left side of the post? Your picture proves my previous post. Just rotate that black cable tie clockwise. Problem solved. Who would have thought that zip tie orientation is critical for the engineering to work out perfect. Bet they talk about this in their morning meeting at the Stern factory. personally i'd just slide the zip tie up beyond the reach of the ball and you will have even more clearance. Took about 2 sec to see what the problem was. Heh... I did... and it must have moved back. Too many Captains to notice that night.